Actually, I have seen this Petit back then on February, but I did not know the name of the character she based on, and then I forgot to search about her since there was so many post-WonFes Nendoroid news back then. Well, Jeff Teo posted a pic of her again in our Facebook page and it reminded me to dig some info about her. 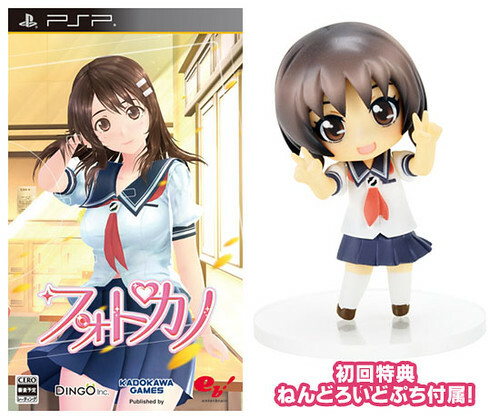 Well, it turns out that she is actually Nendoroid Petit Kanon from an upcoming PSP game PhotoKano. The Petit would be bundled with the first release of the game, priced at around 7140 Yen, and scheduled for late September release. What do I think? I think I hate schoolgirls more the child molesters.